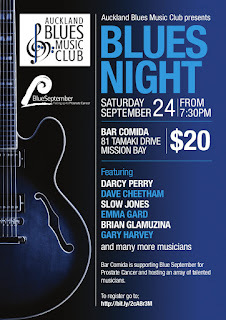 Darcy Perry and his rocking Blues Band. 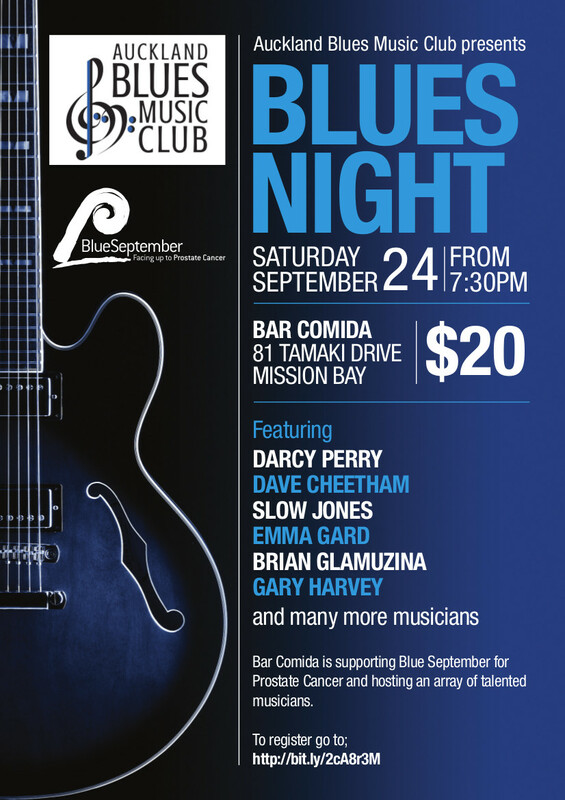 Featuring special guests Robert Lock, Herb Mason-Riseborough and Hal Tupaea. "Hi all, if ya coming from outa town for the drags and need somewhere close and biker friendly to stay check into Podge's Place. Now this place will be pumping the Saturday night with the Darcy Perry Band going hard and there's a good range of eateries right beside Podge's plus the local gas station pumps 98. So see ya t here on the night!" 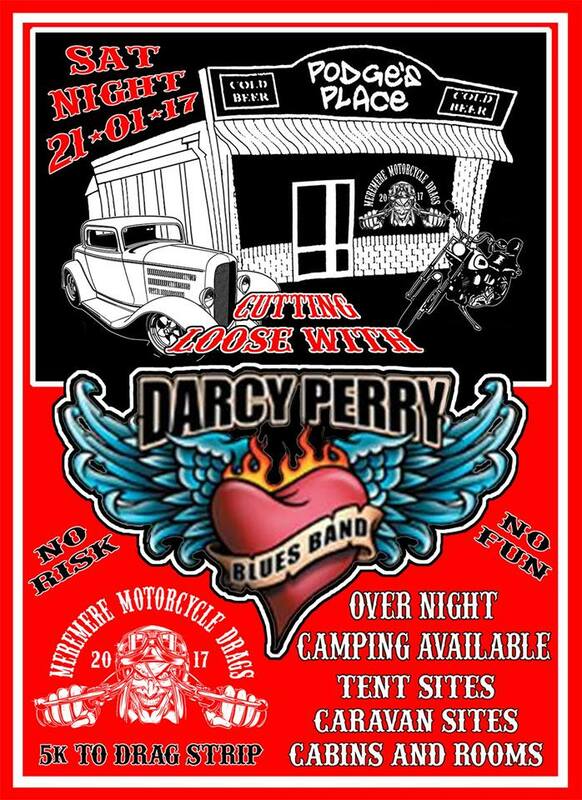 This our first DPBB gig for 2017, the night before the Meremere Motorcycle Drags. A great motorcycle friendly place to stay the night with a good range of eateries right beside Podge's plus the local gas station pumps 98. Here is my last Hour of Blues Power for 2016 and also my first for 2017. It is a great pleasure to be a guest DJ on Nate Taiapa's Blues Room, FreeFM 89.0, 9pm the first Wednesday of every month. I hope you enjoy the show! Happy New Year everybody! Darcy Perry welcomes in 2017 with this first episode of The Blues Room. We thank you for all your support, for all your music submissions, and for your appreciation of good blues! Enjoy! Darcy Perry lays down another hour of blues power! 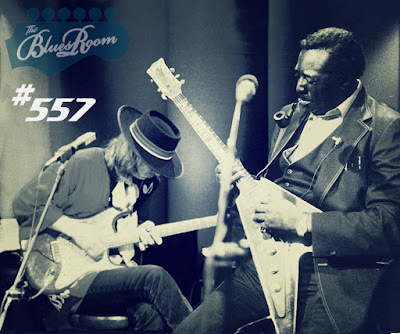 At the beginning of every month, I am invited into Nate Taiapa's 'The Blues Room'. It is an hour of blues power, which often has unexpected turns along the journey, with tunes from all over the world. There is always something old, something something blue! I've always enjoyed music. It was a while before I understood what the blues were and where it came from. When you listen to my music I hope new, something borrowed and you feel that love. Mercy, mercy, mercy. Whangarei Jazz & Blues Festival, NZ, 2005. Watch out! Another great double shot of Blues you can use! 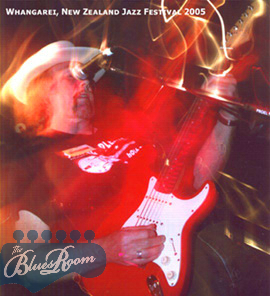 Darcy Perry of the Darcy Perry Blues Band is LIVE in The Blues Room: from the roots to the fruits the first Wednesday of every month. 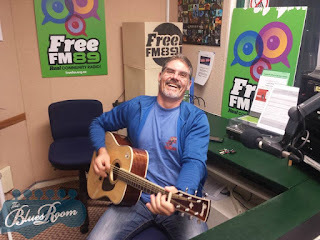 Tune in for some LIVE blues and more! 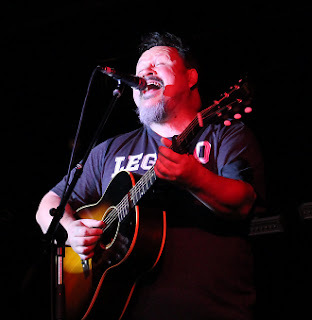 The August show is dedicated to Texan Bluesman 'Lightning Red'. I had the pleasure of getting to know him while he was in New Zealand. Red was a genuine human being, a wonderful musician and good friend. He enjoyed playing with my band and we enjoyed his company and stories about Texas blues. Red, thanks for sharing your gifts with us and showing me how to get the best Texas tones from my amp. God bless you and your family. Rest in peace my friend. "Lightning Red (Wayne Bak) musical artist died July 6th at the age of 67 of heart problems and prostate cancer. He was a blues artist who performed nationally and internationally touring England, Ireland, Switzerland, France, Scandinavia, Croatia, Germany, Holland, and Australia and New Zealand. He played electric guitar, was a song writer, sang and fronted his own band for 50 years. He recorded 8 albums of original music. His entire life was shaped by an insatiable passion for the blues. It’s all he ever played. 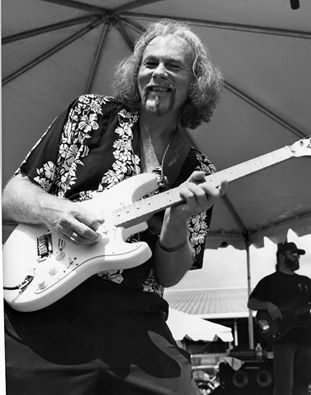 He is considered a great blues artist by many across the world. Red and his wife came to Austin in 1977 from the Chicago area. After living out-of-state for 8 years, they returned back home to Austin in December 2015. He is survived by his wife of 42 years, Deborah Vanko, a sister, Janice Brennan of Illinois, a sister Joan Bakalar and her daughter, Stacey of New Zealand." May 6, 1949 - July 6, 2016. Dedicated to Lightning Red, May 6, 1949 – July 6, 2016. 2016 Blue September Breakfast Launch. 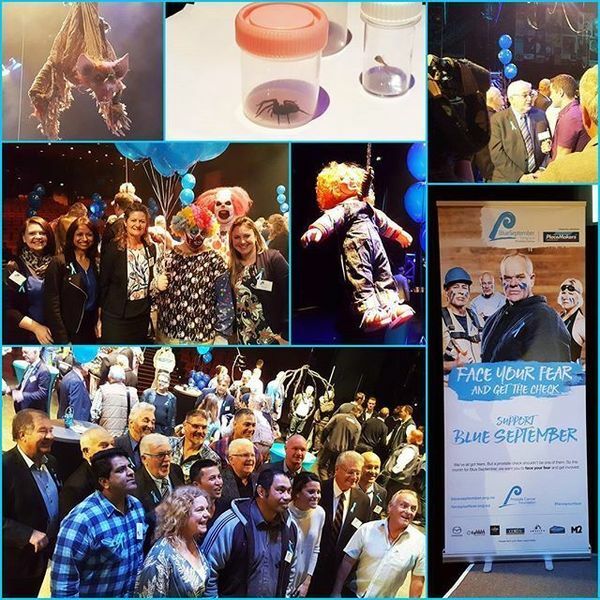 Blue September is a fun way of delivering a serious message about 'facing up to prostate cancer'. Why Blue? Blue is for men and 1 in 10 NZ men will get prostate cancer in their lifetime. We’ve all got fears. But a prostate check shouldn’t be one of them. Each year prostate cancer kills 600 Kiwi men – now that’s scary. So this Blue September, we want you to face your fear for prostate cancer awareness month. Featuring: Darcy Perry, Dave Cheetham, Slow Jones, Emma Gard, Brian Glamuzina, Gary Harvey and many more! 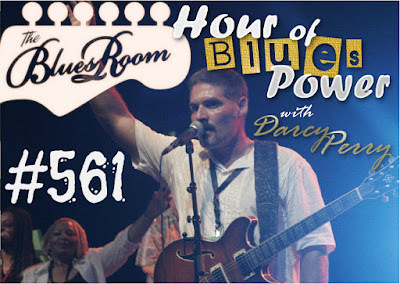 Darcy Perry of the Darcy Perry Blues Band is LIVE in The Blues Room: from the roots to the fruits the first Wednesday of every month. Tune in for some LIVE blues and more!